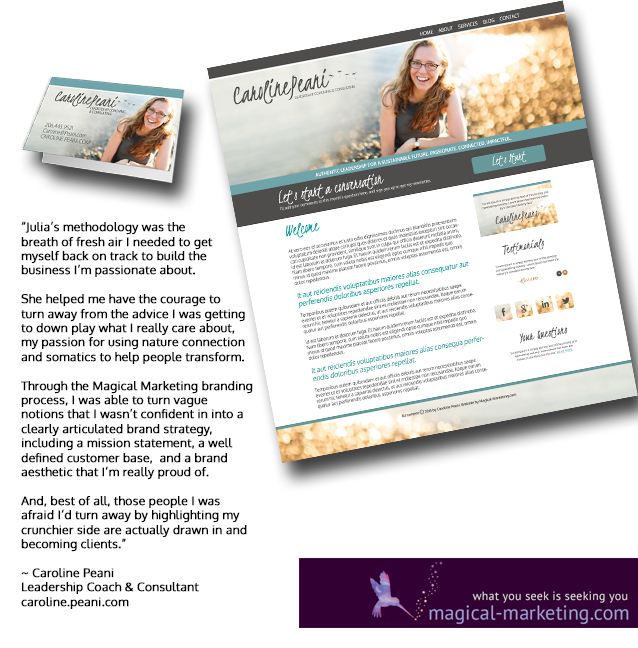 It’s Spring and as part of our Magical Marketing Spring Equinox Website Sale, we have a new Website Design Showcase from our recent clients. These designs represent the authentic visual voice of our clientele. 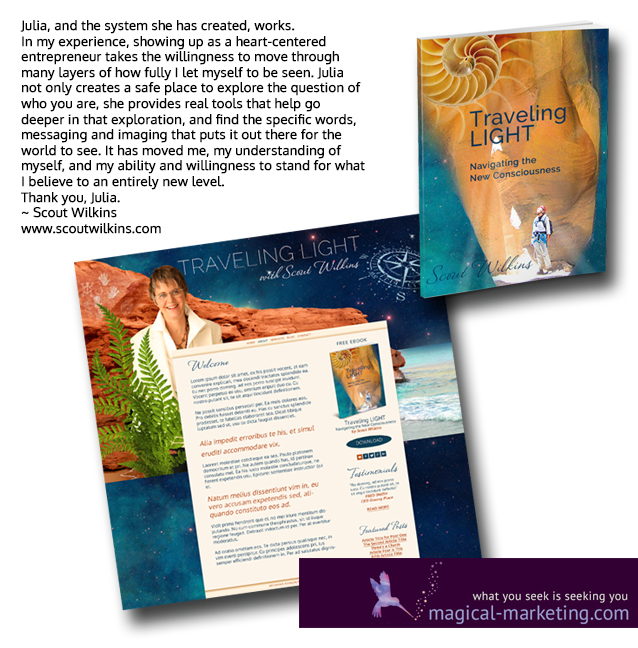 They were created through a brand-channeling process that goes deeply into their soul purpose and aesthetic, as well as their unique gifts. 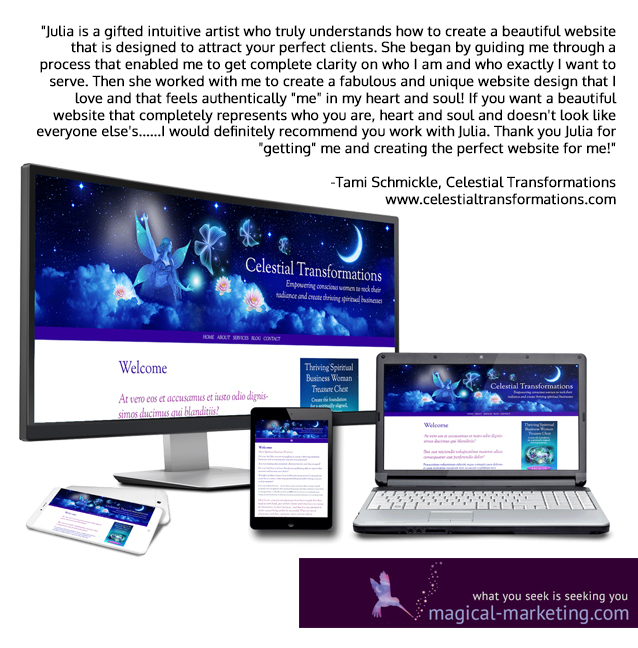 The result is a beautiful and resonant brand and website that truly represents who they are. Many of our clients report that our process is a life-changing experience. I hope you enjoy these new designs! If you feel it’s time to upgrade your business brand and website, we have 5 websites remaining on sale for $1,000 savings. To reserve one, visit http://bit.ly/mmwebform for details. 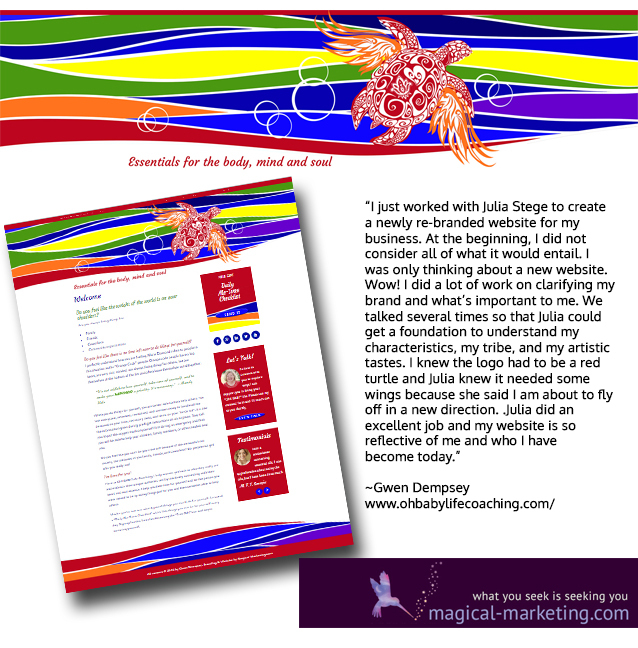 Or if you are not sure whether it’s time to change your brand or website, you can apply for a Magical Website Analysis with Julia at http://www.magicalwebsiteanalysis.com.